Prescription drugs are an important part of the lives of many Americans. Children and adults alike take medicines for various ailments and conditions. When children are young, parents take the responsibility ensuring the prescription is filled, and making sure that the drugs have been taken, but when can children take over this role? When can they take over the responsibility? Allowing our children to take charge of their medications can be scary, but it can also be an important step to independence. How will I know my son is ready to manage his own pills? There is no particular age that makes a child become responsible, which makes this type of decision difficult. And, to make things harder, a child who was responsible at one time may slip and become less dependable for a variety of reasons. So this really is a case of following your gut. 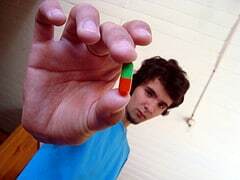 Does your son understand why he is taking medications? Does he take them without a fuss? Does he remind you that it’s time for his medicine? Can you depend on him to do other regular tasks? If he does forget things, does he respond well to reminders, like lists or cues? Has he asked you to be allowed to do this on his own? Will he be in a situation where there is no adult regularly available to give him his medicine, such as living with a parent who has to leave for work before the scheduled dose? If you have answered yes to any of these questions, you may want to give it a try. How do we transition to having my son take his own medicines? If your son has asked you or if you feel it’s time for him to take over the management of his prescription drugs, some preparation will likely help smooth over the transition and help lessen your worries. Talk with your son about his medications and why he must take them. While you’ve likely had this discussion several times already, it’s easy to assume that our children understand why they must do certain things, like take their pills. But sometimes messages get mixed up over time and misunderstandings occur. Talk to your son or have his doctor talk to him about the drugs, why he takes them, and the importance of ensuring that they are taken whenever they are due, without fail. Talk to your son about his condition and what his friends know about it. For example, with certain diseases, such as type 1 diabetes, some teens become too self-conscious of being different and how their insulin shots may seem to others. They may no longer want to take them when they’re with friends. This is, of course, a very serious situation. If your son has to take meds for ADHD while at school but is concerned about teasing, what does he think are some feasible options? Ask your son what he thinks he needs to do to be successful. As parents, we have ideas of how things should be done. We might use lists or alarms – whatever works for us. But not everyone responds to the same cues. By discussing what your son thinks may work, you may come up with a system you hadn’t thought of. Come up with plan together. This plan could be how you will hand off responsibility to your son – all at once or gradually? Will you start by setting out his prescription drugs on a daily basis but expect him to take them without you reminding him? Will he have to get out his meds on his own? Will he be responsible for letting you know when it’s time for a refill? How long will you try the plan before reassessing if it works? Do other people need to be involved? What cues will you use? Discuss a back up plan. If your son forgets to take his medicine, what should he do? If you’ve noticed that he is not following the plan, what should you do? Initiate your plan. Handing over the reins to something as serious as prescription medications can be scary. As parents, we want to ensure our children are as safe as can be. But there are situations where we must back off and allow our children to try. By doing your best to set your son up for success, you are allowing him the chance to try. It’s not easy – but so rewarding in the long run, for both you and your child. Marijke Vroomen Durning, RN, is author of Just the Right Dose: Your Smart Guide to Prescription Drugs & How to Take Them Safely. To learn more about her book, visit JustTheRightDose.com. Marijke Vroomen Durning is gathering stories about games we used to play as children. She invites people to visit her website, Games We Used to Play, to read other stories and to submit a memory of a game (or games) they played, perhaps discovering that these favorite games were also played elsewhere with different rules or under a different name.